This is a must-buy for us at SemiRandom when the Lidl Asian Weeks arrive. Delicious 70 grams of sesame and honey. Yum! En general aquí en SemiRandom vamos como lobos al Lidl cuando llegan las semanas asiáticas, y este es uno de nuestros placeres. 70 gramos deliciosos de sésamo y miel. This entry was posted in Castellano, English, Food-Comida, Spain-España and tagged LiDL - Vitasia, listo para comer, precocinados, premade food, ready to eat. Bookmark the permalink. 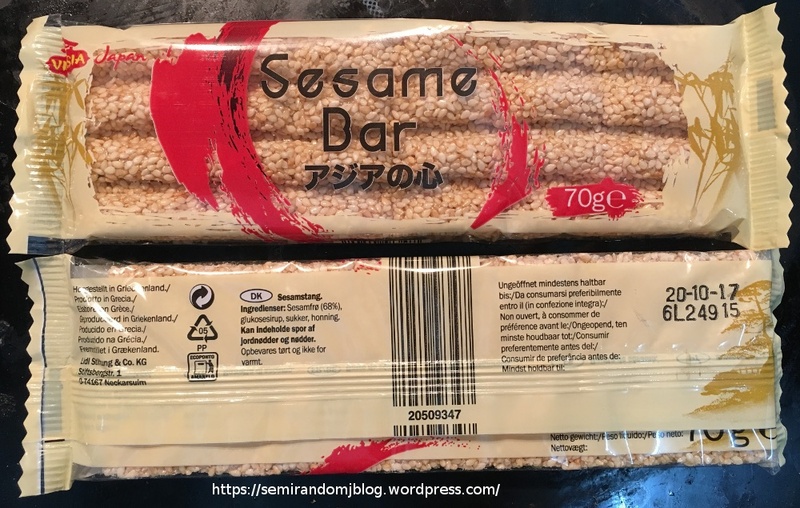 The sesame bar are gluten Free? Hi, I think they are, but I can’t 100% guarantee. 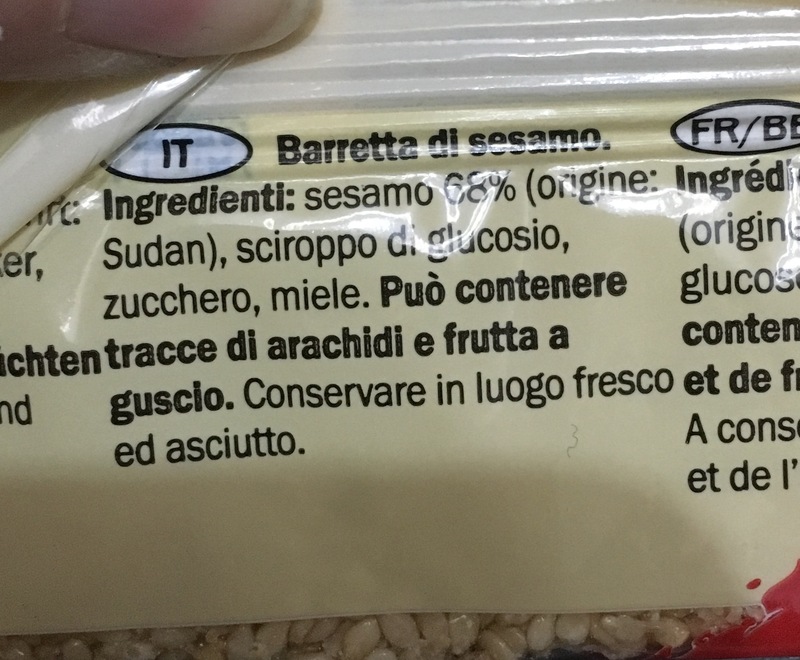 I have the ingredient list in Italian, and it lists sesame, glucose and honey, no cereals. I hope this helps.